Since 1978 Walrus pumps providing products that can be used in irrigation, water treatment, air-conditioning, industrial washing, filtration systems, machine tools, and many other applications. Walrus’s main product lines are their pressure boosting and coolant pumps. 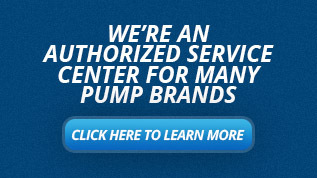 Pumps under the Walrus brand (TPHK, TPCK, TPAK, TPK, & TPH) are typically stocked and distributed out of their main Houston, TX location. 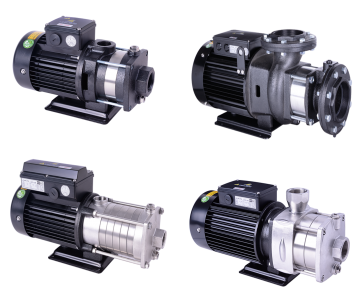 Products under the Systemflo brand (SLR & CDLK) are made to order pumps that can handle more complex and diverse range of applications with a much longer lead time. The TPHK series pump is a submersible vertical multistage centrifugal pump best used in non-aggressive, clean environments. It is a stainless steel constructed self-priming pump with one straight shaft between the motor and pump with the impellers mounted on an extended motor shaft. TPH pumps are quiet and highly efficient horizontal multi-stage centrifugal pump best used in clean water applications. They are not self-priming, feature a co-axial pump/motor design, and the impellers are mounted on an extended motor shaft. Parts in contact with liquid are have stainless steel construction. TPAK pumps are coolant pumps for circulating and spraying lubricants for machining tools, such as turning, milling, drilling, cutting, slitting, and grinding. 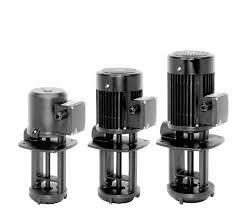 The pump is a one-chamber vertical centrifugal pump with on straight shaft between motor and pump. The impellers are mounted on an extended motor shaft. The SLR and CDLK series are vertical non-self-priming multistage centrifugal pumps driven by a standard electric motor. They can be equipped with an intelligent protector technology to prevent dry running, out-of-phase, and overloading. Both series have capabilities to handle slightly corrosive liquids. The CDLK has immersion capabilities but has a lower flow range, while the SLR uses a standard motor and has a higher flow range. The SLR is unique in that both the inlet and the outlet flanged connections are located bottom of the pump. The TPCK and TPK are submersible vertical multistage centrifugal pumps best used in non-aggressive, clean environments featuring a corrosion free design. It is a stainless steel constructed self-priming pump coupled to a motor.